Updates to Muriel Dianne's profile since your last visit are highlighted in yellow. I became a Registered Nurse, after majoring and minoring in many of the liberal arts. Most of my career was spent in critical care. I traveled a lot over the years, and eventually settled in Cambria, CA. I met and married my first husband here. I lost him to leukemia several years ago. I am now in a relationship with a great man, Mark West. Oh, btw, I go by my middle name: Dianne. I have lots of good memories of Whittier High School. I loved the visits by John Goddard before he was banned for a humorous comment he made that was deemed too crude for teenagers. I loved it when the girls in gym class would stop playing and wave to my mom on her way to work. I loved most assemblies. The altered class schedule made those days even more fun. I loved it when Mr Newton taught us to take ourselves more seriously. Then reminded us not to take ourselves too seriously. Who can forget Mr Spain? The day he told us that Hitler had disappeared and was never seen again. He turned his back to us, then turned around holding a small black comb to his upper lip. So many fun memories of Miss Hauser’s class. Like the day she came in and told us she was in a bad mood. We should just read quietly. We did. But we also slowly moved our chairs to the back of the room. When she looked up and saw us, she laughed and so did we. Oh, acting out Shakespeare was fun. As Andy ______ (can’t remember his last name) quoted “Hand me my rapier!” But pronounced without the “i”. Our laughs filled the Administration Building. Muriel Dianne Goodwin Brant posted a message. New comment added. Happy birthday, Bev. Hope you have a wonderful day. Muriel Dianne Goodwin Brant added a comment on her Profile. Muriel Dianne Goodwin Brant added a comment on Joseph Contreras' Profile. Muriel Dianne Goodwin Brant has left an In Memory comment for Gary Wineinger. Muriel Dianne Goodwin Brant posted a message. Happy birthday Grace. Have a wonderful day. Muriel Dianne Goodwin Brant has a birthday today. New comment added. 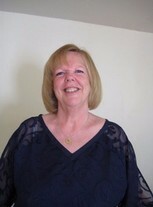 Muriel Dianne Goodwin Brant updated her profile. View. Muriel Dianne Goodwin Brant posted a message on Marcia Snell's Profile. Muriel Dianne Goodwin Brant added a comment on Karen Pedersen Siefner's Profile. Happy Birthday, Debbie. Have a beautiful day! Hi, Jim. Good to see you here. Hope lif has treated you well. Happy Birthday Daphne. Hope you have a great day with friends and family. Hi Kristen. So great to see you here. I also became a Registered Nurse. I have so many happy memories of you, all the way back to Sorensen School. Your family was so loving! Remember the school carnivals? Entering by walking through the cowboy’s legs! Brownies and Girl Scouts! I could go on and on. Sounds like you’re having a fantastic life. So happy for you and your family. Sending you hugs.